Nobody wants to smell pet odors when they’re looking at a potential new Loft. Nor do they want to see piles of pet hair on the carpet. But are there ways to actually use your pet to your advantage when selling your Loft? Here’s a look at how best to deal with pets when your Loft is on the market. Repair any damage caused by the pets, including carpets, hardwood flooring, walls and furniture. Your Loft is not ready for showing until these issues are addressed. Remove pet stains and odors by having carpets and floors professionally cleaned. Tidy up the yard, especially if you have a dog that spends a lot of time outside. Relocate your pet during showings. Ideally, your Loft should be shown by an agent while you are away, but don’t leave your pets behind. Either have them boarded during the duration of the selling process, or at the very least take them with you when you leave for a showing. This is doubly true if your pet is something like a snake or lizard that may potentially scare a buyer. Clean, clean, clean. It cannot be emphasized enough – if your pet is not being boarded while you are selling, be sure to thoroughly clean and vacuum the Loft before each showing. Potential buyers could have allergies, or there could be lingering smells that you don’t notice because you’ve lived with them for so long. Smell has a powerful effect on our emotions, and you don’t want to lose a sale simply because the odor in your Loft left a buyer with a negative feeling. Remove litter boxes, food and water bowls, and pet toys while the Loft is being shown. Pets can help make an otherwise sterile Loft feel cozy and lived in. Sometimes including a cute and well-behaved pet in a photo will help make a space feel more livable. 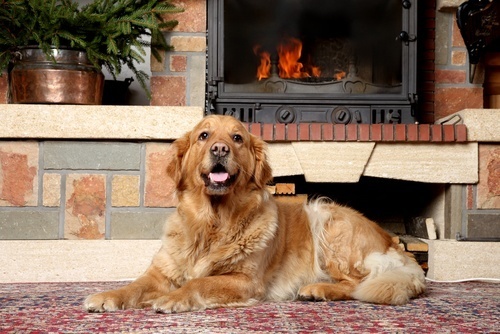 If strategically placed, a pet can even draw attention to a Loft’s best feature, such as a fireplace or picture window. If your pet is exceptionally well-behaved (like a therapy dog), they can boost the perception of your Loft during a showing. But the pet needs to be calm and reassuring, and you should limit it to one pet. Dogs and cats should be the only pets you might consider including. It is not advisable to include snakes or other types of pets that might make buyers uneasy. Ultimately, the decision to include a pet should be discussed with your real estate professional. They understand your local market and will have a better idea of whether or not your pet could potentially be a selling point.